Chat is for quick, ongoing conversations between Users. New Chat posts will appear at the bottom of the Chat box and older content will remain fully accessible in the Chat discussion. NOTE: The most recent posts will load into Chat, but scrolling up will load in older posted content. In Chat, Users can upload documents directly from their computer or through file hosting sites such as Google Drive, Box, and Dropbox. Select the Paperclip icon next to the Chat text input box to select the upload option. Chat also has full support for emoticons and .gif motion graphics. Topics are for specifically-focused conversations. “Topics” are a great way to organize ongoing discussions about a particular subject. Users are able to comment directly in a Topic, share files, and set reminders around it. Chat comments can be turned into a Topic at any time by clicking the ellipses menu on any Chat message and selecting “Create Topic”. 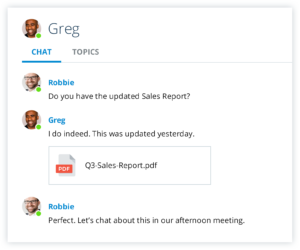 Within the Create Topic options, Users can create topics from single message or selected multiple Chat messages to create a Topic from. Topics do not expire and can be added to indefinitely, so Users will always be able to add more Chat and content to the discussion. NOTE: Topics can be closed manually by Users in the ellipses menu for the topic. Tasks are for turning conversations into action. 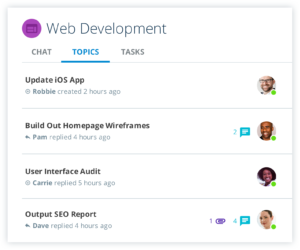 Tasks allow Users to keep track of and plan out the projects a team commits to by creating a list of individual Tasks. User assigned work for coordinating project management. Relevant file sharing for quick and easy access to project specific files. Direct communication within the Task to keep Chat focused on project and task work. Reminders and due dates can be assigned to each Task to monitor and plan Task progress. 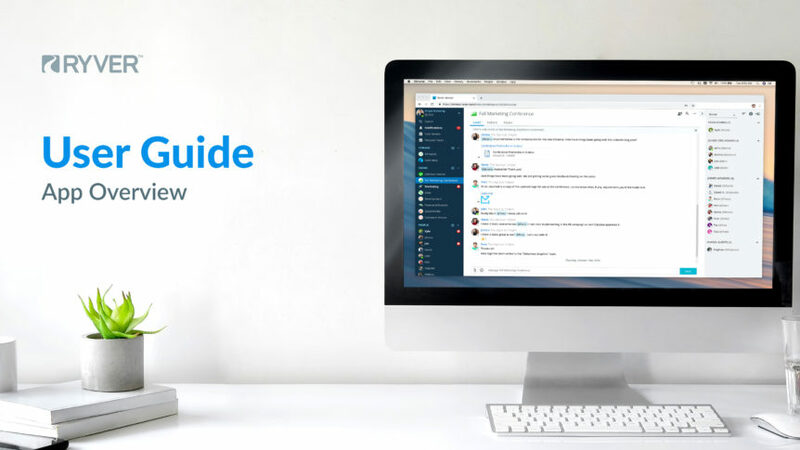 For a guide on Task management and creation, see our Quick Start Guide section on assigning and managing Tasks. 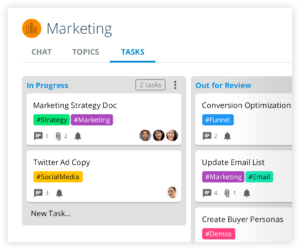 Tasks can be displayed in either Task List or as a Kanban task Board (like Trello). Each Task is given a specific Task ID, which can be linked to in conversations by typing “#” immediately followed by your task’s ID number. 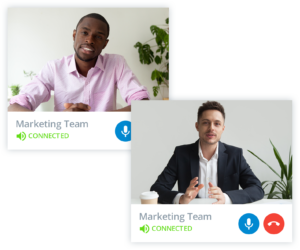 1-on-1 Calls can be made with any User available in a User’s People list. There is no limit on the number of Users who may join a call through the Ryver application. NOTE: More Users connected to the call will use up more bandwidth, so the only real limitation is the Users’ network connections. Calls can be made from any Windows, Mac, or Linux device using both our Desktop and Mobile apps.